Swafield Hall before renovation, June 2014. Swafield Hall (North facade) in spring 2016 after the renovation. In 2014 we returned to London from Moscow, were we’d been working for 5 years and started looking for a country house. When we saw Swafield Hall for the first time the house definitely wasn’t in its best condition. It had been on the market for a long time and nobody had lived there for 3 years. The roof was leaking, walls were cracked, some windows, doors and wooden constructions were rotten… It was crying out for TLC. 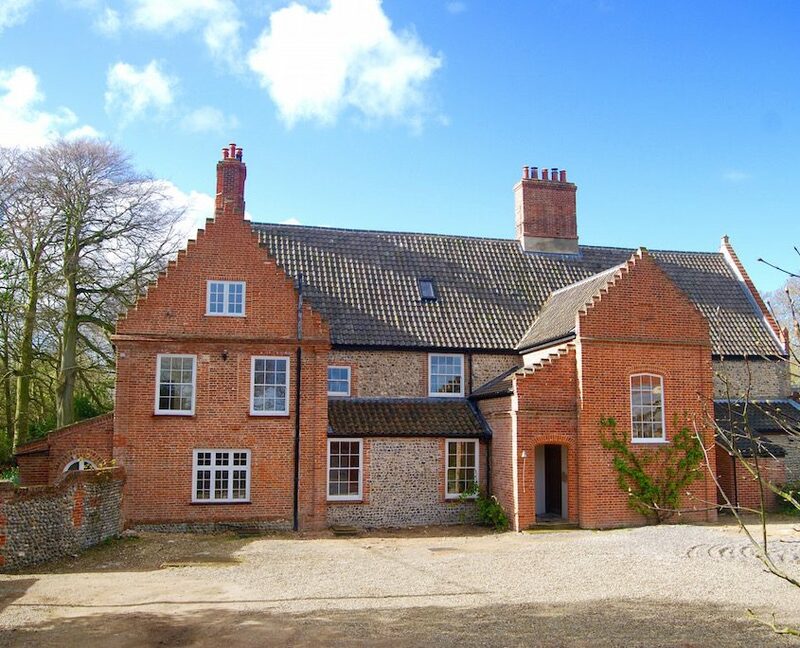 But it was a beautiful, outstanding house with more than 4 centuries of history… We said “definitely not” but returned here once, returned again, and finally decided to buy Swafield Hall, renovate it and restore it to its previous glory. In summer 2014 we started to plan the renovation works. We received the key to Swafield Hall in October 2014. 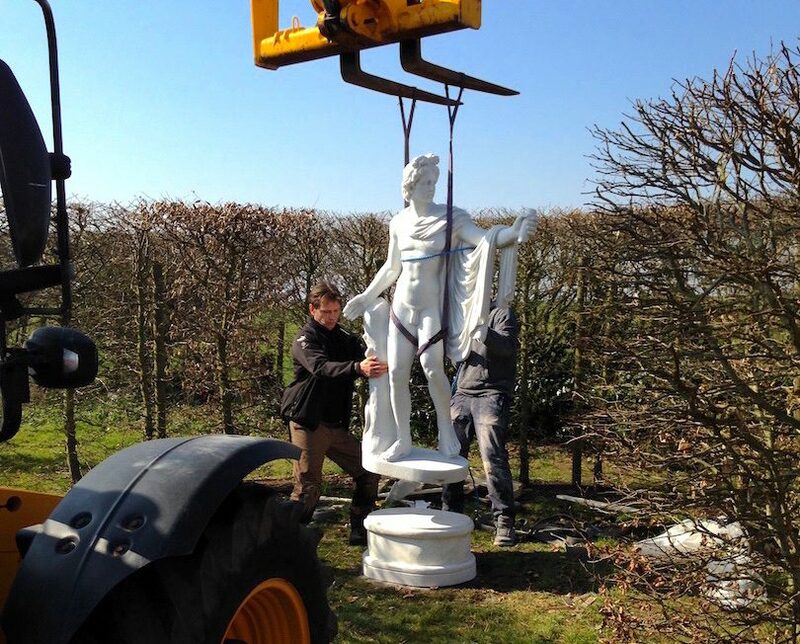 Our first change at Swafield Hall was the Apollo Belvedere marble statue for the beech promenade (Apollo Promenade now). Apollo Belvedere can be seen in many parks in the Tsars’ summer residences near Saint-Petersburg where one of us (Boris) was brought up. English landscape design had a big influence on Russian parks in the 18th and 19th centuries and the gardens at Swafield Hall remind Boris of his homeland. 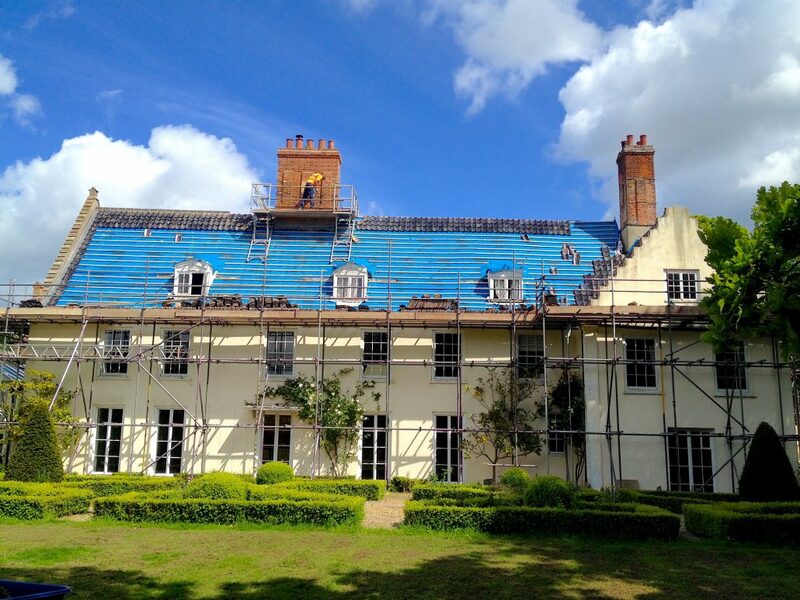 The renovation started in May 2015, and the the work on the house is now complete. In summer 2015, the fist task was to repair the dilapidated chimneys and the leaky roof of the house. 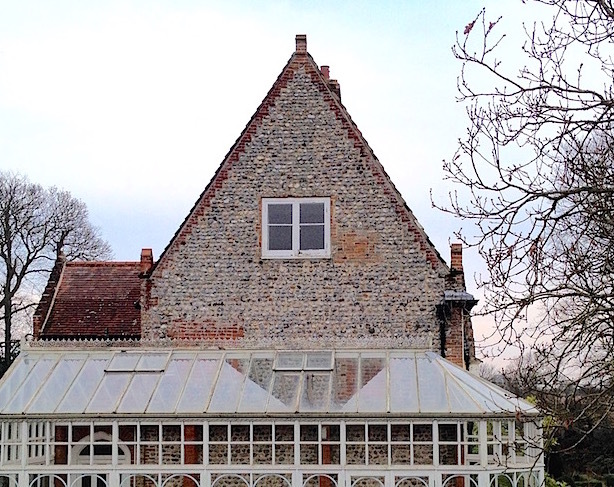 The brick and flint walls on the North facade and West gable had to be cleaned and repointed. 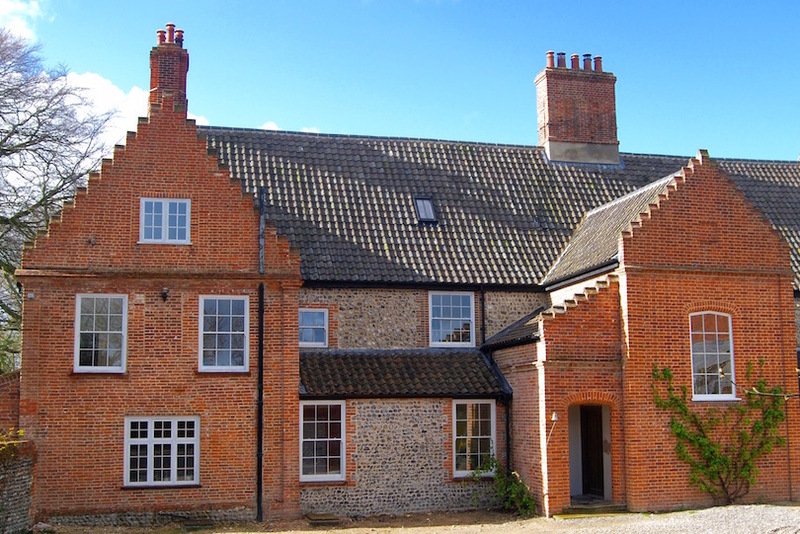 The old rotten windows had to be replaced with new ones manufactured to match those in old historical photos of Swafield Hall. 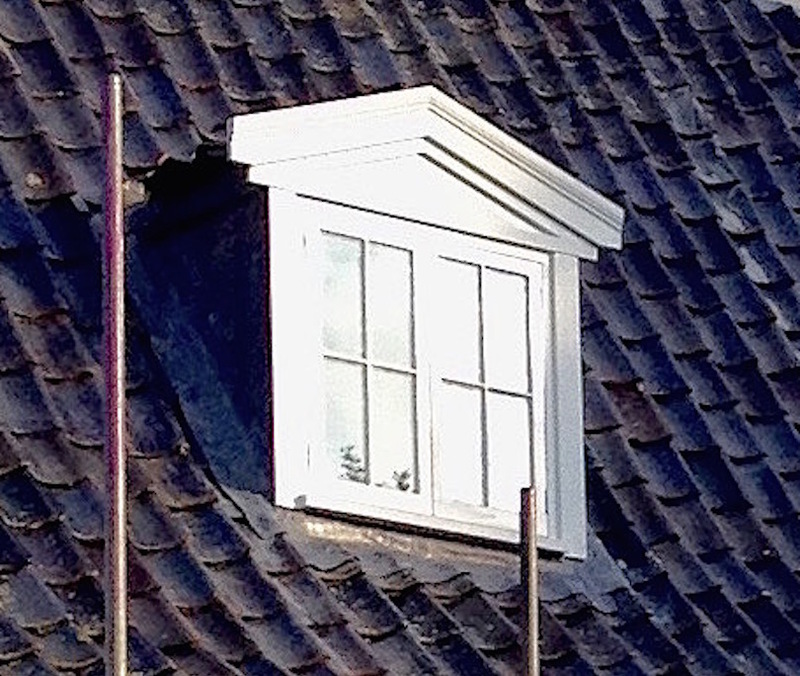 We replaced unsympathetic looking dormers (South facade) with the design seen in photos taken from the 1880s. 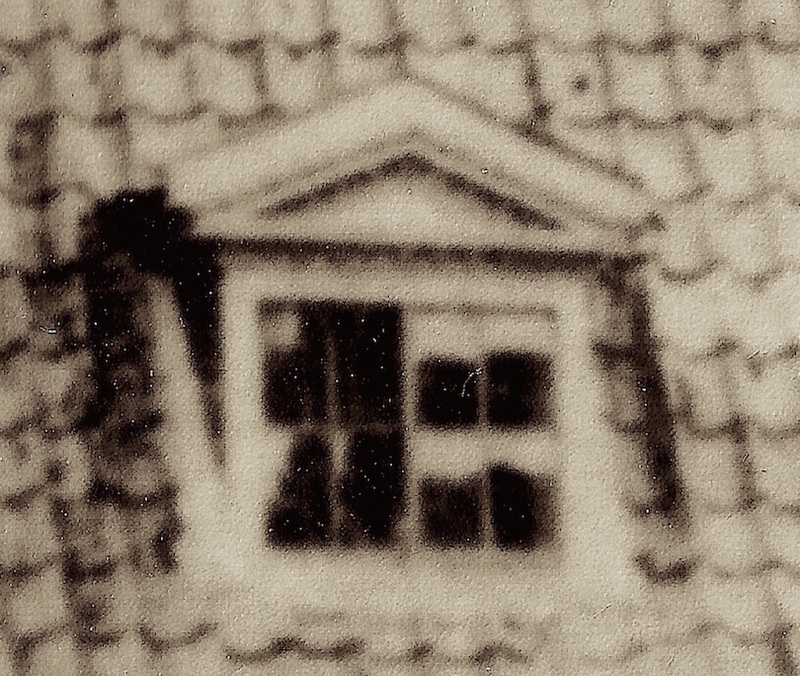 Dormer in the photo taken from the 1880s. 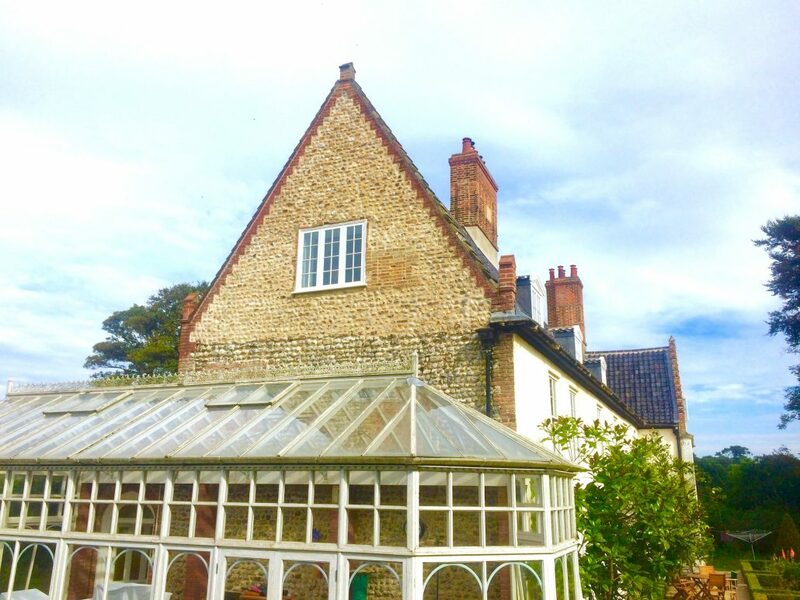 The new window in the West flint gable (South wing lounge/bedroom) was made to match a 1950s picture and we replaced the rotten 1970s style window. 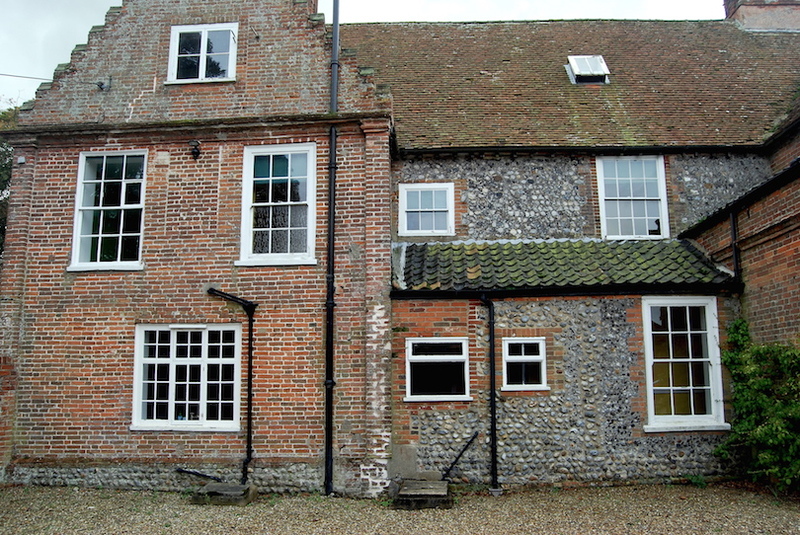 Two small inappropriate 1970s windows in the ground floor (North facade) have been replaced by a large sash window similar to the adjacent old window. The 2nd floor with South Wing apartment and East Wing Apartment was the first section of the house to be completed (May 2016). You can now see the original roof beams that were previously hidden. The house actually has two roof structures, one inside the other. 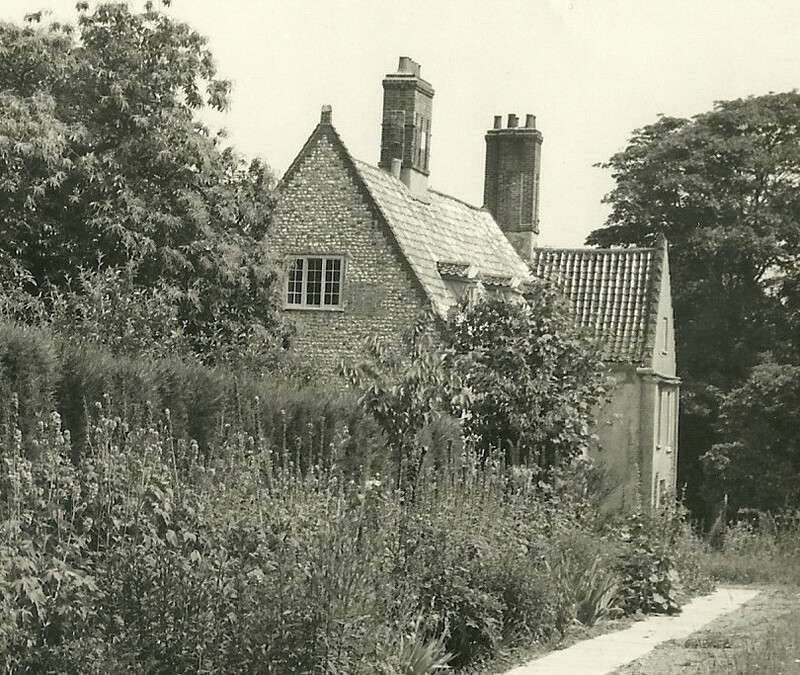 The beams that are now visible are from the original thatched roof and an additional structure was built at a later date to support the current tiled roof. In February 2017 we finished the renovation of Nelson’s Suite. Before the renovation the room had a very slopey and unsafe looking floor with unsympathetic wallpaper. The original low servants’ door was nailed shut and probably hadn’t been opened for a couple of hundred years. The boudoir/dressing room connected to the suite was mostly empty and uninhabited during the last few decades. The fireplace in that room was last used in the early sixties and its chimney was plugged by a 1963 newspaper. After the renovation Nelson’s Suite retains its original features like antique plaster, bay windows, servants bell mechanisms, and C18th enfilade doors. We kept and restored all the original door knobs and locks, wooden panels of the bay windows, low servants door and the fireplace in the old boudoir/dressing room, which has now become the en-suite with victorian style shower. Georgian Interiors are well known for their elegant proportions alongside carefully balanced colours. 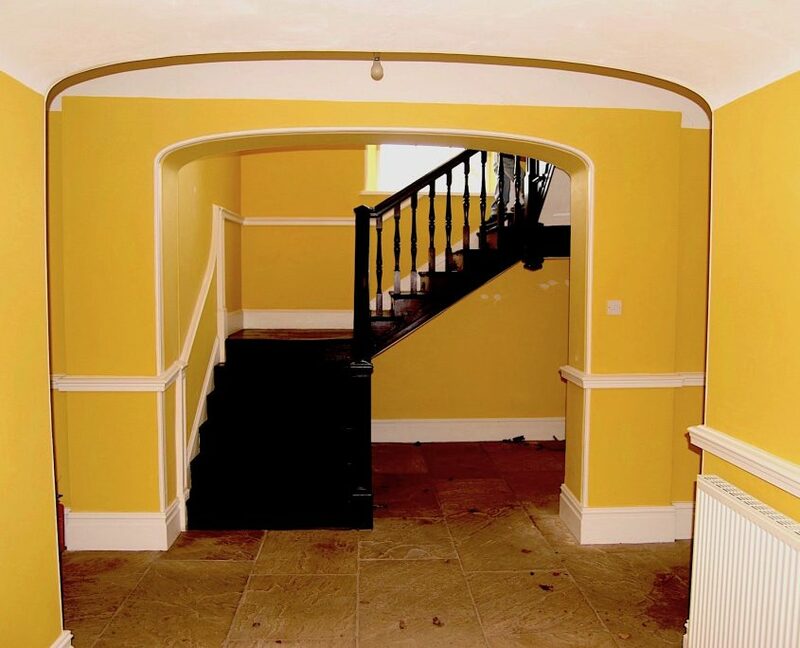 Introduced in the late 18th century this strong yellow colour (like India Yellow by Farrow and Ball) was originally used in some of the most impressive interiors of Swafield Hall, particularly in the 17 metre long vaulted Ground Floor Hallway and the Enrance Hall with the open oak staircase. 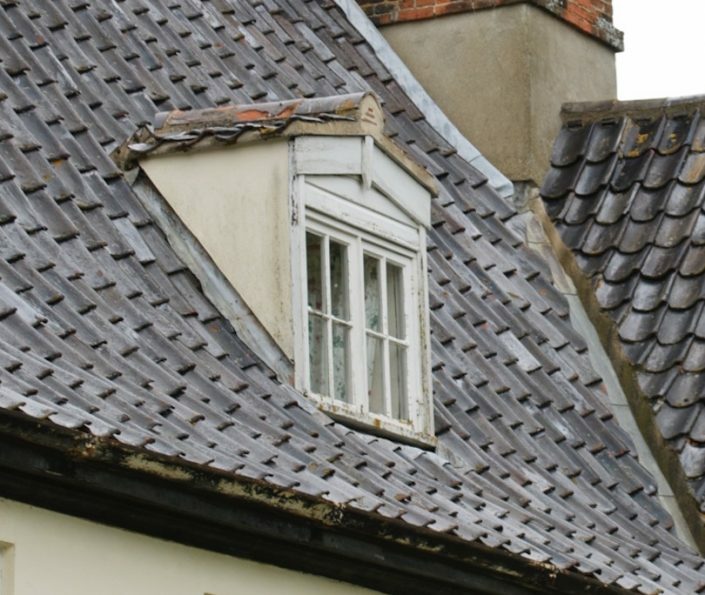 In Victorian time the colour scheme darkened, woodwork become brown, the floor was decorated with octagonal tiles, which were worn out and covered by linoleum in 1980’s. None of the Victirian tiles survived, because around 2003 brown Indian stone, usually used for patios and pavements, was laid in the Hallway. 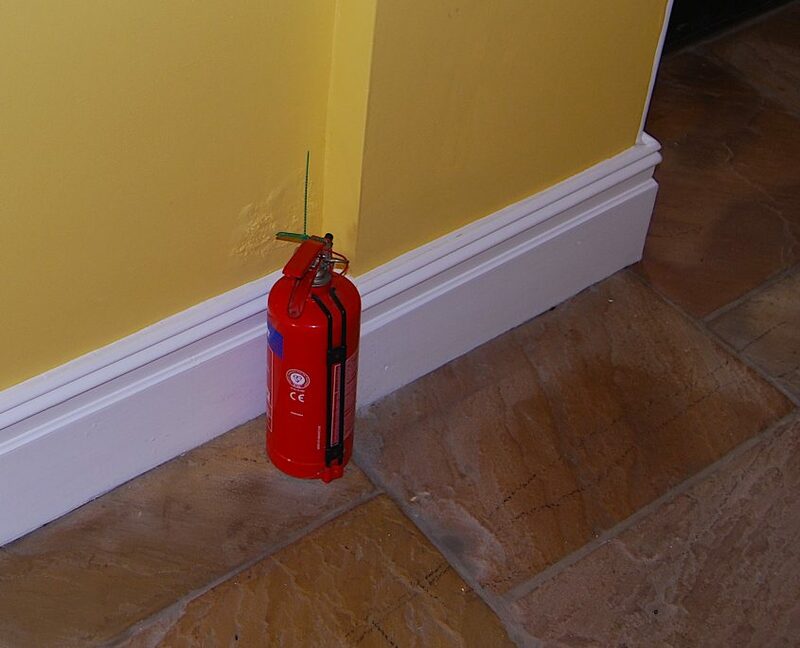 Waterproofing wasn’t done properly, and the Hallway floor and walls were affected by damp. In addition to this, the roof leaks damaged the vaulted ceiling. During the renovation we have retained the traditional Georgian yellow/white colour scheme, but replaced the dark Indian stone tiles with silvery coloured Argento marble. 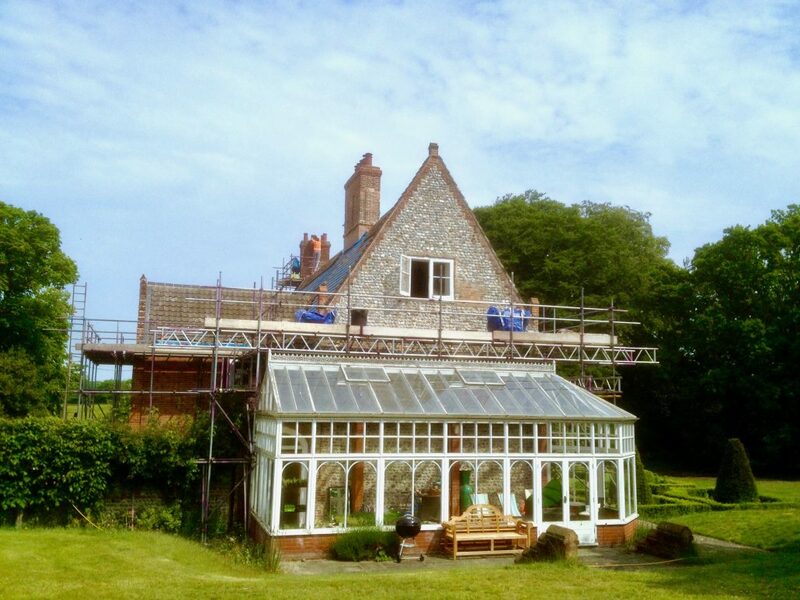 We carried out the necessary damp-proof work and repaired the vaulted ceiling that had been damaged by leaks. In May 2017 we completed the renovation of the Servants staircase and the guest cloakroom. 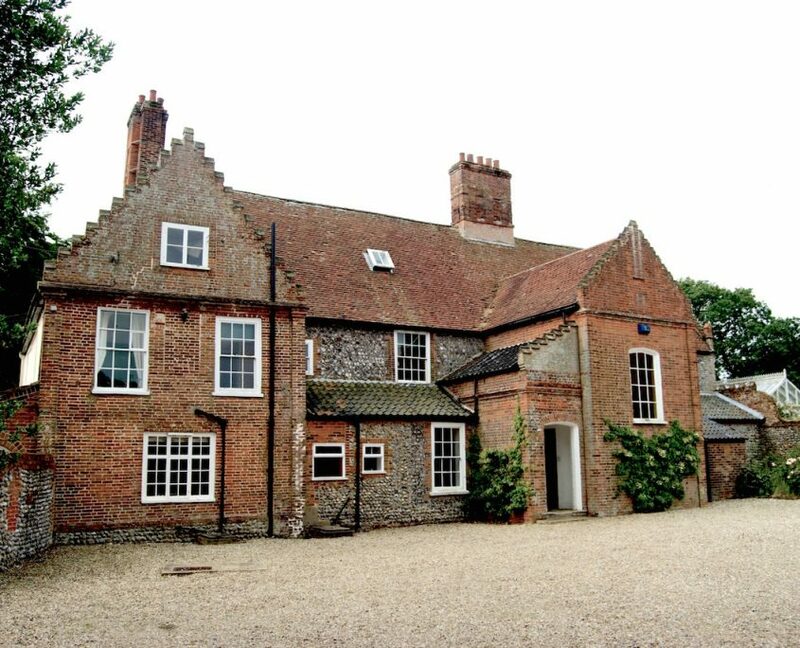 They are situated on the ground floor in 16th century part of Swafield Hall and connected to the Main Hallway. For servants staircase and guest cloakroom we’ve chosen a traditional colour scheme, coordinated with the Main Hallway, and the same Argento marble flooring. 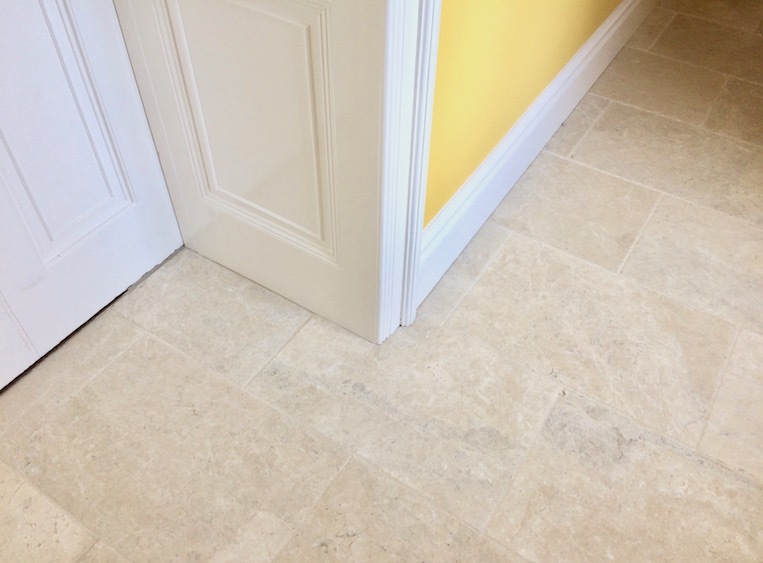 Argento marble flooring for the Main Hallway, Servants staircase and Guest cloakroom. Paintwork on the Secondary Servants staircase and wine cellar door has not been painted properly for decades. All the old scratches, сracks and dents on the woodwork were painted over and over and as the result the staircase looked unloved and very worn out. The guest cloakroom is situated opposite the Servants staircase. This room was created in the 1980’s in the former Butlers’s Pantry. At that time the guest cloakroom received a rather ugly looking small window to the court yard. 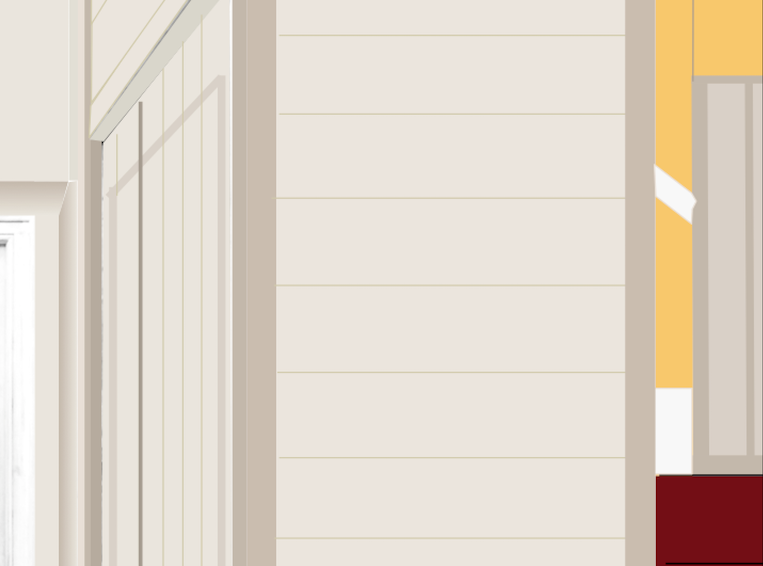 The walls were painted in an eye searing orange. The roof above the guest cloakroom was leaking for a long time and as the result the ceiling and archway were greatly weakened. During the renovation the guest cloakroom was completely updated. It received the same marble floor as the hallway and kitchen. The roof was repaired, the archway was reinforced. The new large sash window completely changed the look of this room. 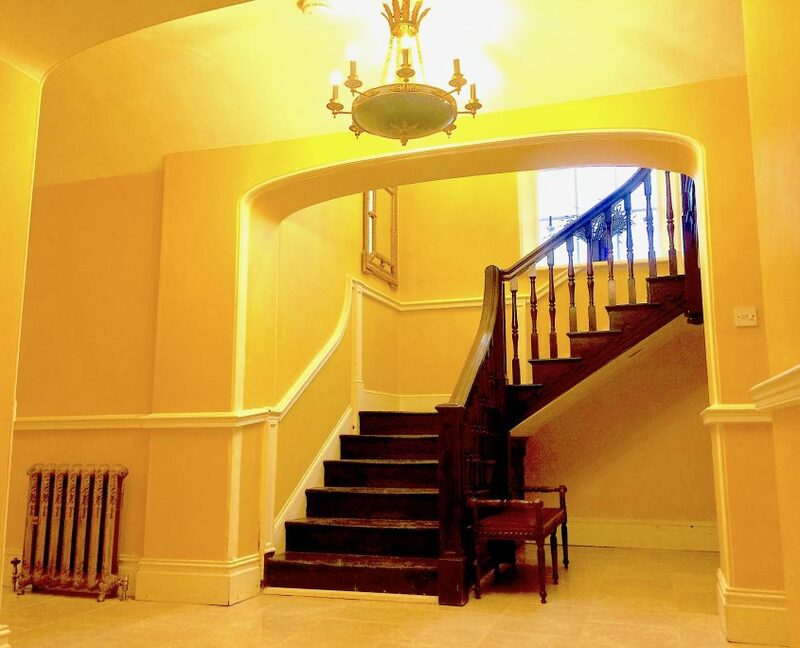 A traditional stone-like light colour replaced the dazzling orange on the wall. 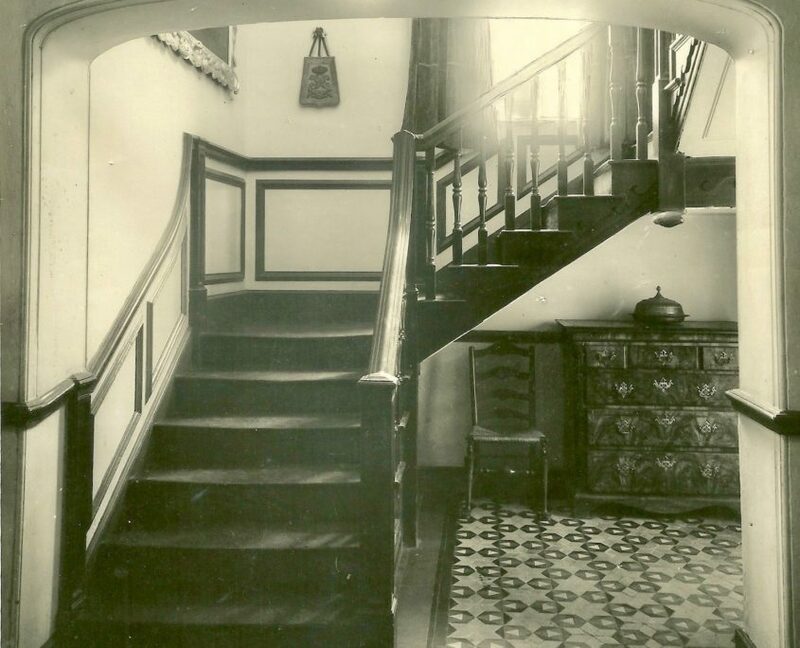 The same colour scheme was used for the servants staircase paintwork, with darker accents on the vertical wooden elements. This East bedroom (16 ft 6 in x 10 ft 10 in) was historically called the “Blue bedroom”. It had a fireplace and a communicating enfilade door to the Dressing room (10 ft 7 in x 10 ft 3 in). Unfortunately, in the 1980’s the fireplace was boxed, the door passage to the Dressing room was blocked and covered and the Blue bedroom was pained in a bold lilac colour. After 2002 the Dressing room was used as girl’s bedroom and painted in “Barbie pink”. The floor boards were extremely worn and weren’t very safe. We couldn’t open the old fireplace in the Blue bedroom, but under the floor boards on the left hand side of the fireplace we discovered a huge empty space (above the kitchen chimney), big enough to hide a priest in olden times. After the renovation the old hidden enfilade passage between the Blue bedroom and Dressing room was reopened, and the original door was reinstated. Rooms were decorated in appropriate shades of blue. They are connected now, the “Barbie pink” room is converted to a luxurious en-suite (the Blue bathroom) with Victorian style tiles and bath. We are happy now to share our love and passion for this beautiful and quite unusual historical house with our guests.